February 19, 2014 August 17, 2015 / Julie Brook, Esq. Updated 8/17/15: Companies are increasingly turning to automated hold processes to make a legal hold smoother and more legally defensible. Your client may have the responsibility to preserve electronic evidence, but how to you make sure everyone who has your client’s data gets that message? Send a “legal hold” or data preservation letter to all potential custodians of your client’s relevant data. 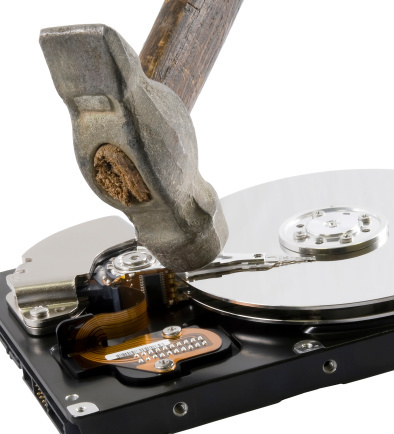 Here’s the key point to make in any legal hold letter: No data that could potentially be useful in or responsive to discovery requests in a specific matter—whether it exists on, e.g., company or personal computers, shared network directories, document management systems, proprietary systems, or any type of removable media—should be deleted or otherwise destroyed. The preservation letter should also (1) identify a person, usually inside or outside counsel, to contact if the recipient has questions; (2) make clear that the client (usually the employer of the data custodian) supports the request; and (3) identify serious consequences if the data custodian fails to comply. In general, the legal hold letter should also be sent to the client’s information technology (IT) department so that IT can stop implementing any automatic document or information destruction policy that may exist. how to send the legal hold letter. Don’t just send the legal hold letter and forget about it. Consider how to follow-up on the letter to ensure that the message has reached all who should be involved in the preservation effort and that compliance with the legal hold has been achieved. Although a legal hold letter may be protected either by the attorney-client privilege or as attorney work product, keep in mind while drafting it that the letter may need to be used later in litigation as evidence of compliance with a legal hold. And keep careful records of the steps taken by you and the client’s employees to preserve evidence so that, if necessary later in the litigation, you can prepare a declaration of compliance with the legal hold and with the responsibility to preserve evidence. It doesn’t matter which side you’re on: the obligation to preserve relevant evidence is imposed as much on the plaintiff as on the defendant. A plaintiff who destroys documents it should have known would be discoverable is subject to the same sanctions as defendants who do likewise. For complete coverage of electronic data and discovery, turn to CEB’s California Civil Discovery Practice, chapter 4. Each legal hold letter should address the issues unique to the case, but certain issues will be common to most legal hold letters and you’ll find the sample letter in chapter 4 to be a helpful start. Email can be useful and create a record of sending, but in large organizations, the “group” email addresses sometimes leave persons out. Careful review of all potential custodians is important.